Merry Christmas from AFP Global Logistics! 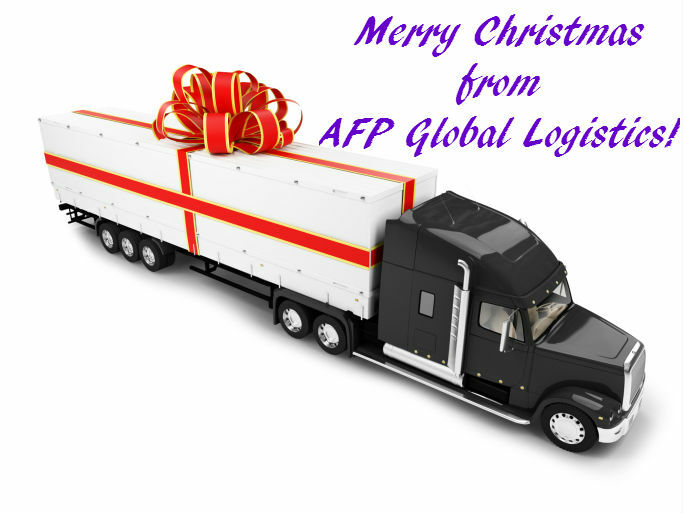 Merry Christmas from AFP Global Logistics! We want to take a moment to wish you and yours a relaxing and safe holiday. We greatly appreciate the support of our clients and partners who have trusted us for their shipping and logistics needs over this past year. As we begin to look toward 2016, we are excited to continue strengthening our relationships and offering the outstanding customer service and comprehensive customized shipping solutions that you have come to expect. Happy holidays from our family to yours! Wishing you a joyful and restful holiday! This entry was posted on Tuesday, December 22nd, 2015	at 11:07 am	and is filed under News	. You can follow any responses to this entry through the RSS 2.0	feed. Both comments and pings are currently closed.